The device looks similar to the Intel reference device we saw previously at CES 2012 but with a more polished look to it. You can jump on past the break for the full press release and devices images. 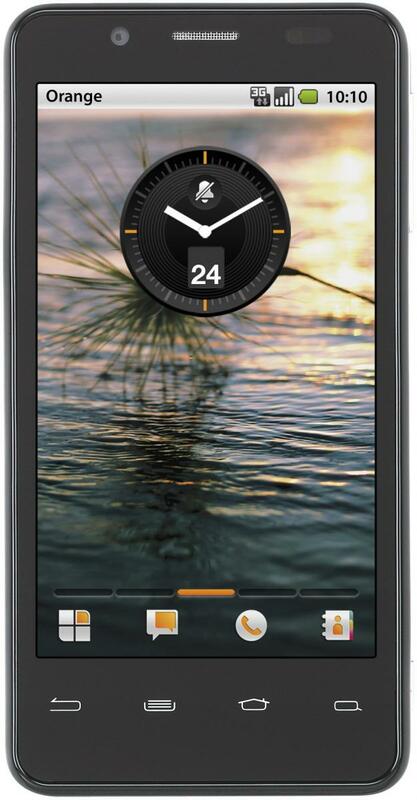 Today, Orange announces that it will launch a new high-performance Android smartphone in Europe this summer. Powered by Intel® technology, the device currently codenamed ‘Orange Santa Clara,’ will deliver the latest in smartphone capabilities and rich entertainment experiences to more customers. The phone will first be available exclusively to Orange customers in the UK and France, where its commercial name will be unveiled at launch. The launch of this smartphone marks a significant development in Orange’s long-standing and successful strategy to deliver phones under its own brand. Now in its tenth year, it has helped drive new device partnerships and support Orange’s customer and mobile multimedia growth by introducing more affordable feature phones and smartphones to its whole customer base. These phones are differentiated by being customised with simple and relevant Orange applications and services. Customer demand has led to the doubling of Orange’s own-branded portfolio in 2011, increasing volume from 7 per cent to 15 per cent of its total device portfolio. Orange aims to increase the volume of its own-branded device portfolio to 20 per cent in 2012 to better meet its customers’ needs, making innovative features, services and technologies more widely accessible. Today, Orange is broadening its own-branded device portfolio with a new mobile partner, Intel, a world leader in silicon processor technology and computing innovation. 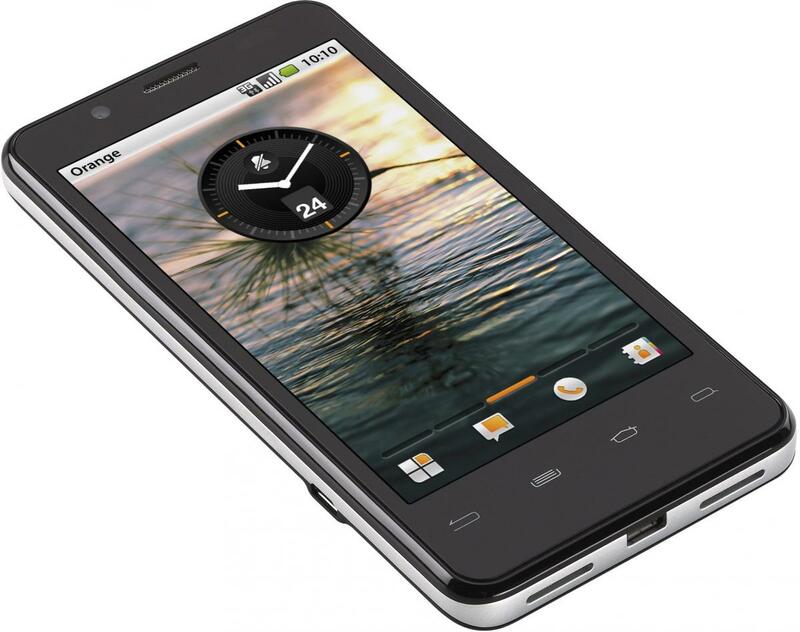 At launch, the Orange smartphone will run Android’s Gingerbread platform with a planned upgrade to Android’s Ice Cream Sandwich platform shortly thereafter. 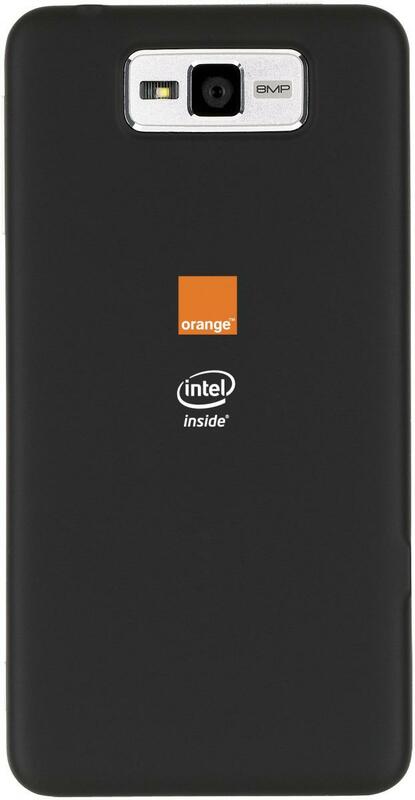 The new Orange smartphone is based on Intel’s smartphone reference design and is powered by the Intel® Atom™ processor Z2460 and supports HSPA+ with the Intel® XMM™ 6260 Platform. Together, these Intel solutions deliver leading performance and energy efficiency while facilitating fast browsing and a responsive user experience. The phone has a 4.03” display, slender dimensions at 123mm x 63 x 9.99, 16 Gb of memory and weighs in at 117g. In addition, high-definition (HD) video will support a rich entertainment offering together with mobile HD voice for outstanding audio quality. It also boasts a camera that can take 10 pictures in under a second with 8-megapixel quality to ensure customers capture all the action so they can choose the very best pictures to keep and share. Also pre-loaded will be a number of services unique to Orange, including Orange TV, Dailymotion, Deezer (France only), Orange Wednesdays Your Orange and Orange Gestures. Today’s announcement builds on Orange’s long-standing and close relationship with Intel across its PC and tablet portfolio, and Orange continues to support Intel’s innovation and development on convergent platforms. Francisco Jeronimo, Research Manager European Mobile Devices, IDC, commented: "This announcement is a bold move from Orange. In today's smartphone environment it is extremely difficult to differentiate without compromising costs. This device pushes the boundaries of innovation and provides consumers with premium experiences at affordable prices."